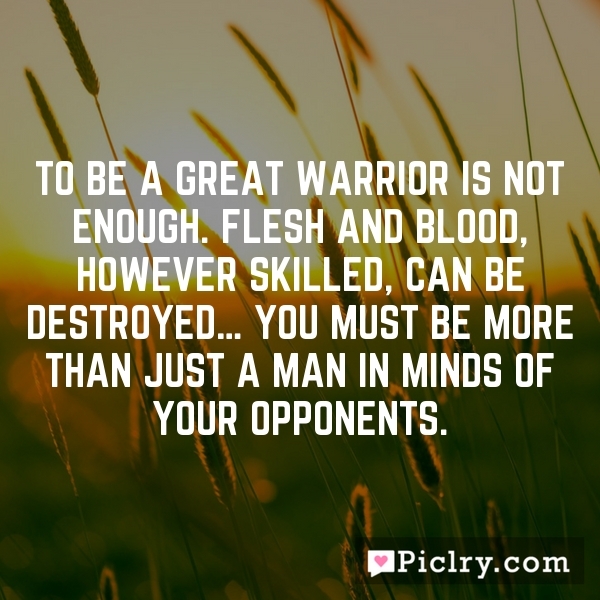 To be a great warrior is not enough. Flesh and blood, however skilled, can be destroyed... you must be more than just a man in minds of your opponents. When God takes out the trash, don’t go digging back through it. Trust Him. Don’t let anyone infiltrate your happiness. Protect it as if it’s all you have, because it literally is.